Small business owners in Manchester are pretty big fans of the city. Manchester took the top spot in Thumbtack's fourth annual ranking of the best and worst cities for small businesses. "Texas cities typically dominate our top 10 list. 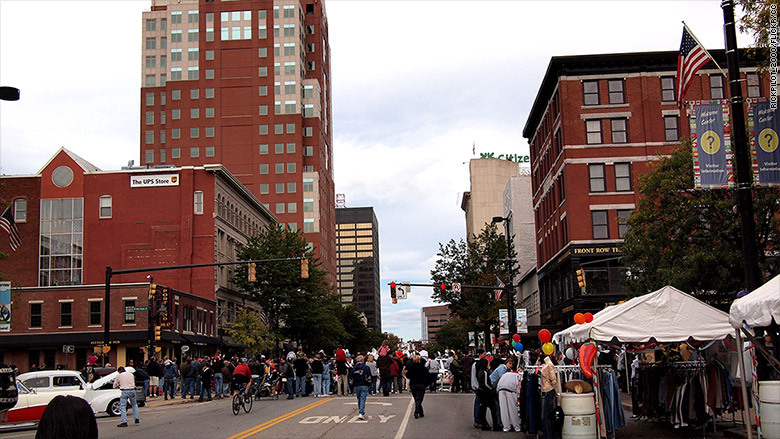 This is the first time Manchester made it on the list," said Jon Lieber, chief economist with Thumbtack, which connects more than a million small businesses with prospective clients. Cities were given an overall "friendliness" score based on factors like how easy it was to start a new business and whether they'd encourage others to do the same. Manchester business owners especially liked the help they got from city agencies and said resources were easily accessible. A second score was based on things like tax codes, ease of hiring, regulations and licensing. Manchester scored an "A+" in both categories. Methodology: Thumbtack polled its users in December 2014; 18,000 small businesses in its database of 150,000 active monthly users responded. Entrepreneurs from all 50 states replied, but the ranking excluded 14 states that didn't meet the threshold of receiving at least 50 responses.